Learn to Fly in Muskoka! Ever wanted to fly like a superhero? 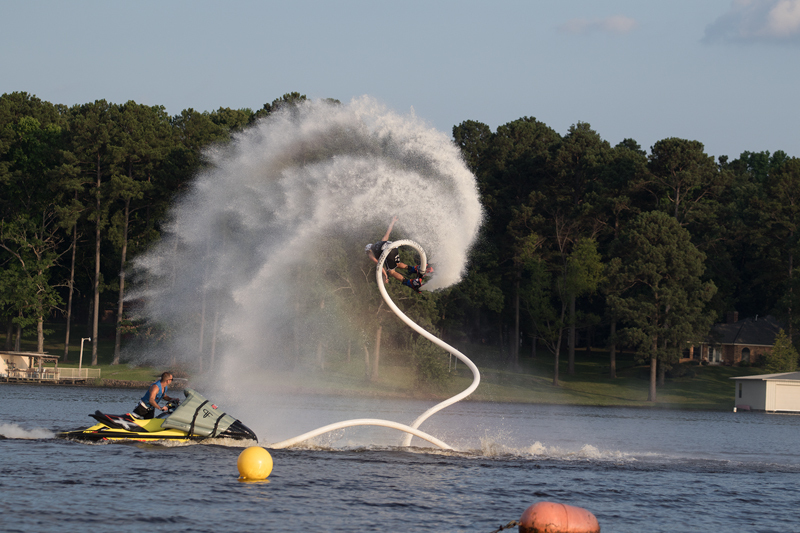 Get your adrenaline pumping with this popular new watersport! Our world-class instructors will have you in the air in no time! 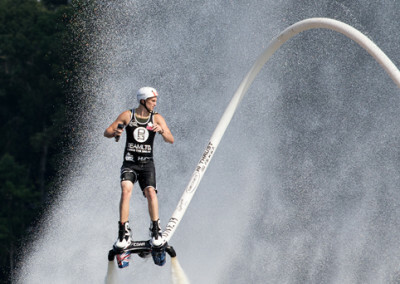 Muskoka Flyboard is the official Flyboard dealer for Muskoka. 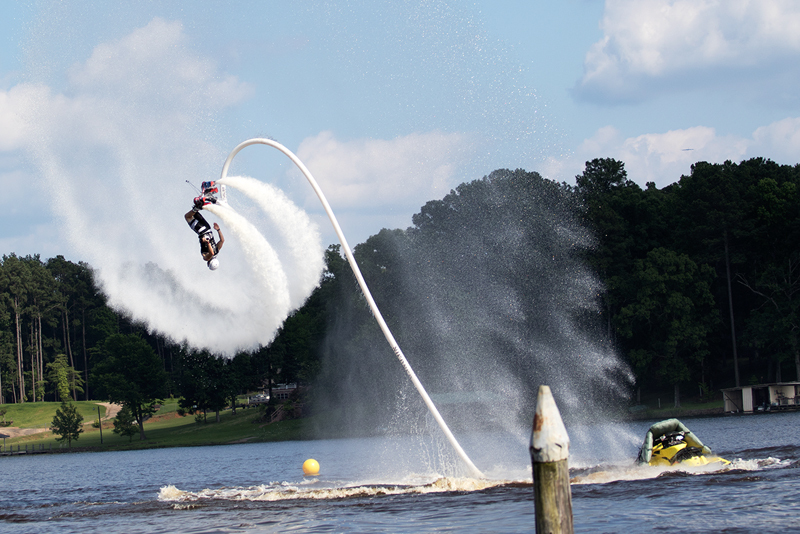 Our team is comprised of some of the world’s best riders, offering Flyboard sales, lessons and shows. Personal session with Zapata Racing certified instructors, at our dock at Clevelands House. 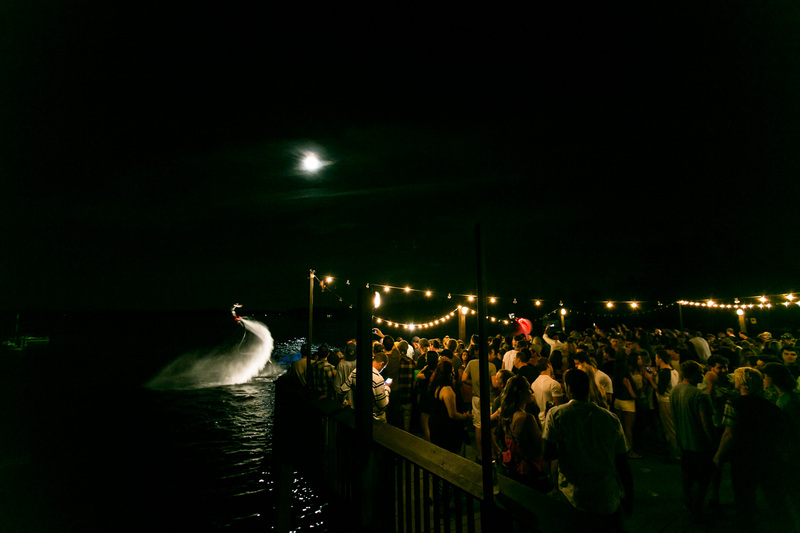 Let our certified instructors set up at your dock and teach you and your friends how to fly. A full day of giving people their wings! Perfect for large families, groups of friends and parties. 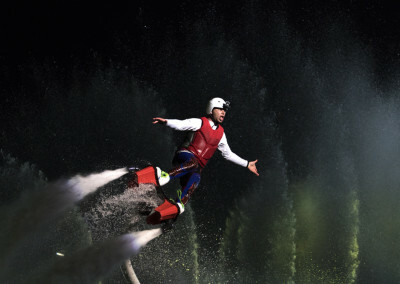 Perfect for those who have their own flyboard package and just want an instructor to drive them. 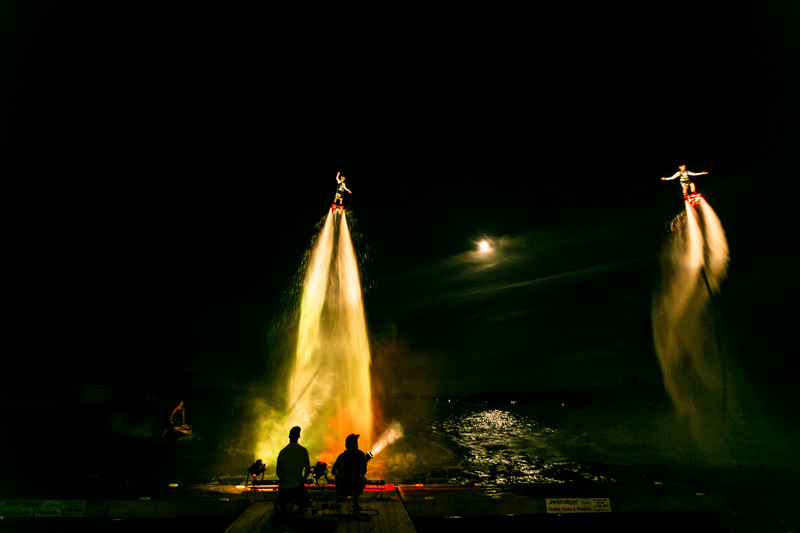 Muskoka Flyboard offers show-stopping private and public performances whenever the water isn’t frozen! Our athletes have flown professionally in shows and competed all over the world in countless different conditions. With appearances at the indoor lake at the Toronto International Boat Show, the Pan-Am Games Torch Relay in Hamilton, Cabana Pool Bar on Lake Ontario, amusement parks in China, and competitions in Louisiana and Dubai, our riders are comfortable in all situations! 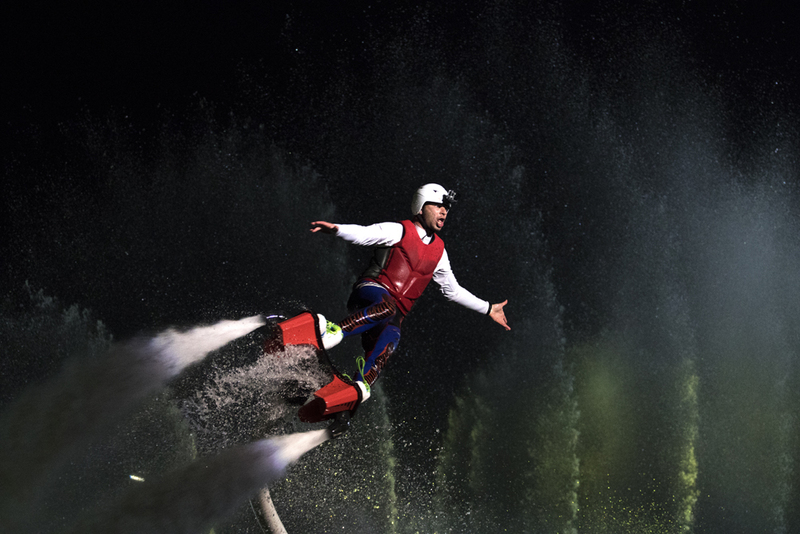 Flyboarding is also featured in Summer Water Sports’ famous waterski shows at four different Muskoka locations every week. 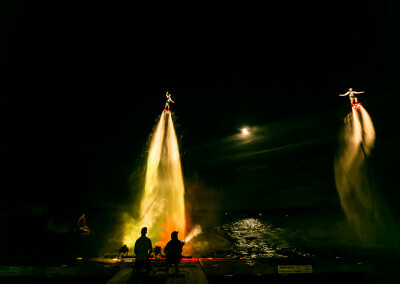 Muskoka Flyboard is Muskoka’s only official Flyboard dealer. 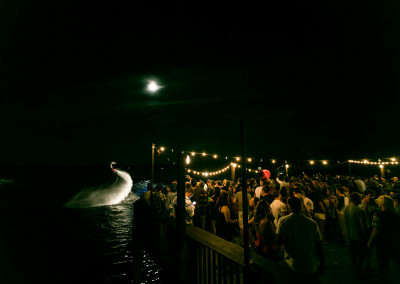 Complete Flyboard packages start at $6800 and require a PWC to be installed on. 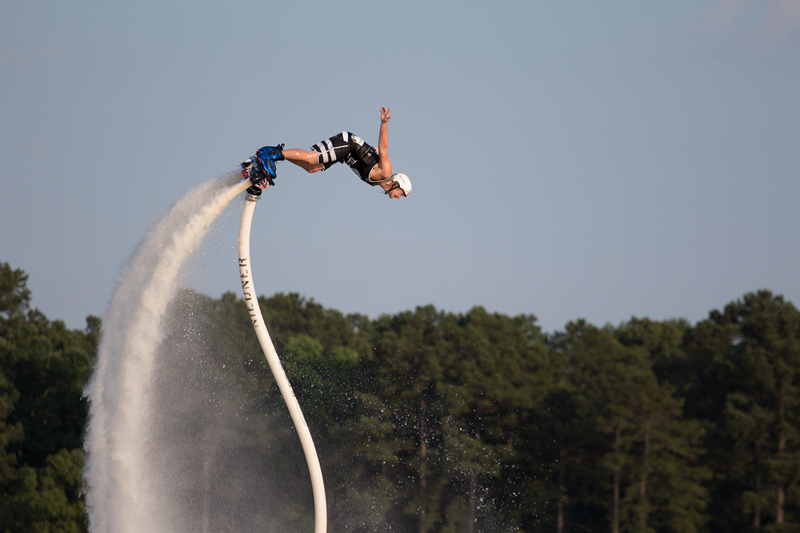 We have a team of Zapata Racing certified staff that can certify any number of users for your Flyboard (minimum of 2 user certifications required before product delivery). 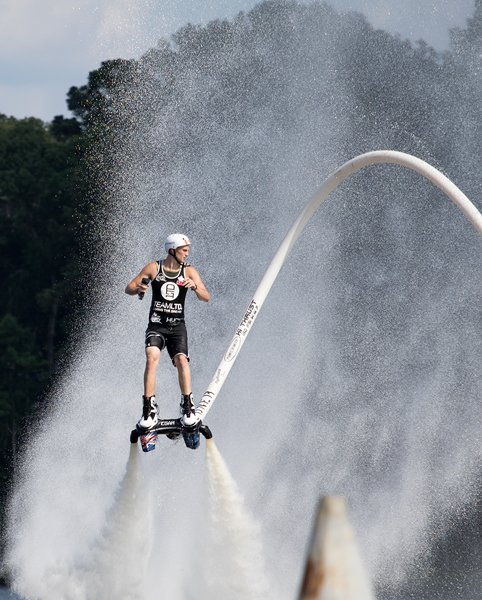 Muskoka Flyboard is powered by Summer Water Sports, Canada’s largest water sports company. Our home base is the SWS Marina, located at 1112 Juddhaven Rd Port Carling, ON P0B 1G0. 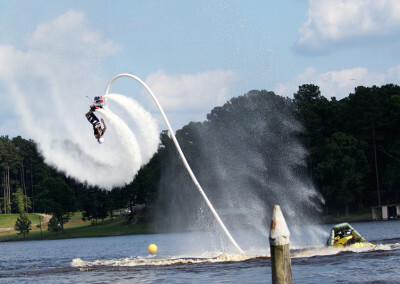 Flyboard lessons can be held at our ski school at Clevelands House or at your own Muskoka dock! Email us or give us a call: 1-888-475-4797.